When your pet is in pain, you want to help control it. Talk to your veterinarian about Gabapentin. It's a medication for dogs and cats that can be used to treat the chronic pain associated with cancer and arthritis. It can also help prevent or control seizures. Gabapentin stabilizes the electrical activity in the brain that can lead to seizures and injury. 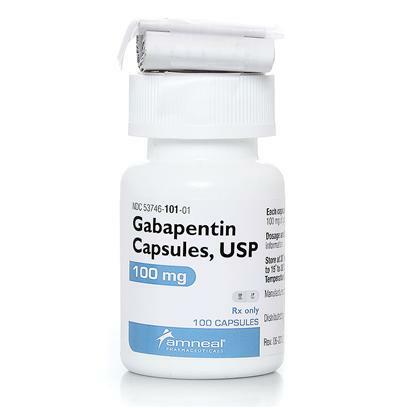 Gabapentin is the generic alternative to Neurontin. Should not be used in animals allergic to it. Do not use in pregnant or nursing animals. Use with caution in animals with kidney disease. Do not give antacids within 2 hours of giving gabapentin. Consult your veterinarian before giving any narcotic such as hydrocodone or morphine since drug interactions can occur. If any of the following serious side effects occur, stop giving gabapentin and seek emergency veterinary medical attention; an allergic reaction (difficulty breathing; swelling of the lips; tongue or face; hives). Side effects that can occur in dogs and cats may include drowsiness, loss of balance, swelling of the limbs, and vomiting or diarrhea. Talk to your veterinarian about any side effect that seems unusual or bothersome to the animal.